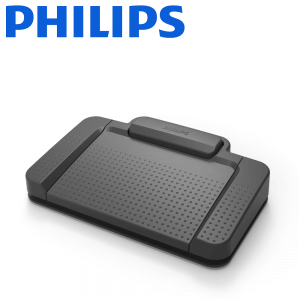 Featuring all the best qualities of Philips foot pedals, including ergonomic design, non-wearing and robust pedals, the Philips ACC2310 USB foot pedal is Windows 10 compatible. The ACC2310 has three pedals, the third pedal is at the top of the device (see diagram). 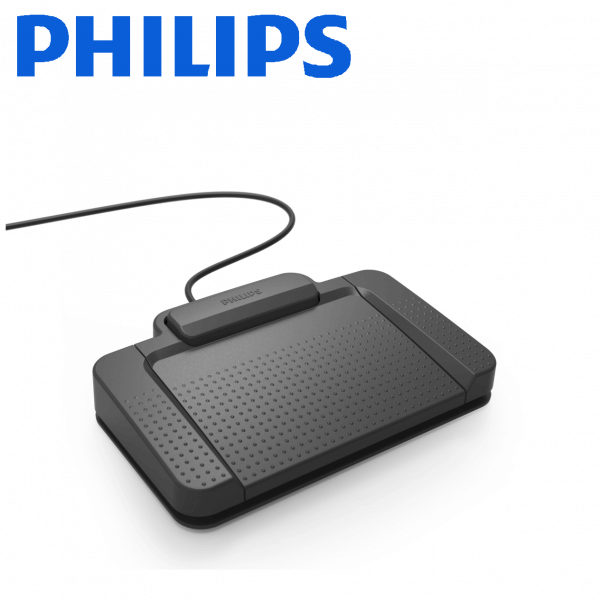 Featuring all the best qualities of Philips foot pedals, including ergonomic design, fast and efficient playback control, non-wearing and robust pedals, and configurable pedal functions, the Philips ACC2310 USB foot pedal is Windows 10 compatible. 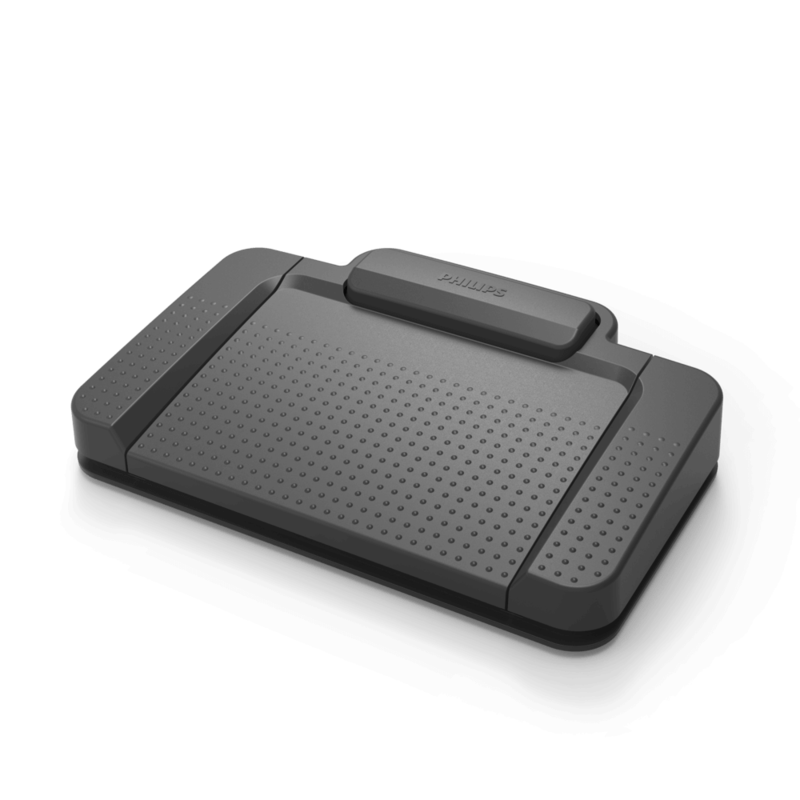 Anti-slip pad keeps the device fixed to the floor – the anti-slip pad at the bottom of the device ensures it grips to the floor and stays in place during use. It works great on any flooring surface including carpet, tile and wood. 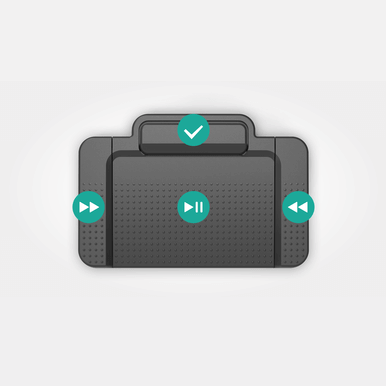 The bumps on the top surface prevent the foot from sliding off. 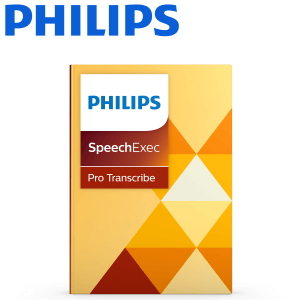 Configurable pedal functions for a personalized transcription style – the pedal functions can be personalized to suit your preferred transcription style via Philips SpeechControl or SpeechExec software. Ergonomic design for comfortable use even over longer time periods – the foot control was developed in cooperation with hospital ergonomists and day-to-day power users to ensure a perfectly smooth transcription process with minimal physical strain. Robust pedals and non-wearing magnetic contact switches that are built to last – the foot control is designed to withstand long hours of regular heavy use. Magnetically controlled contact switches and rugged pedals make it a highly durable and long-lasting device. 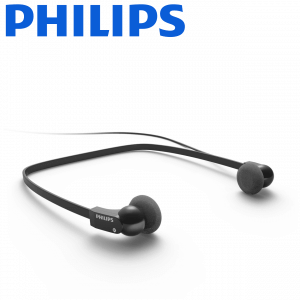 Central configuration and management save time and resources – the optional Philips SpeechExec remote device management software allows administrators to centrally manage, configure and update Philips devices, saving the company time and resources. 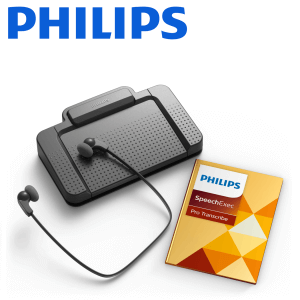 The ACC2310 USB foot pedal is compatible with Philips SpeechExec Professional Transcribe software, and also pairs well with the Philips LFH-334 headset.